Japanese Prime Minister Shinzo Abe’s three-day (December 11 to 13) visit to India was seized upon by both sides to enhance their economic and burgeoning military-strategic ties, with a view to advancing their mutual interests across the broader Indo-Pacific region and, in particular, countering China’s growing influence. Both countries are viewed by Washington as pillars of its aggressive drive to strategically isolate and encircle China, the so-called “Pivot to Asia.” Long the US’s most important Asian ally, Japan has, with Washington’s enthusiastic support, recently thrown off the remaining legal-constitutional constraints on the deployment of its military overseas and foreign arms sales. India, especially since Narendra Modi and his Bharatiya Janata Party (BJP) came to power in May 2014, has integrated itself ever more deeply into the US’s anti-China offensive. Although not a formal US treaty ally, India is now procuring much of its weaponry from the US, is pursuing closer military-strategic ties with both Japan and Australia (the US’s most important regional allies), and has repeatedly parroted Washington’s claims that Beijing is threatening the “freedom of the seas” in the South China Sea. While currently proceeding under the aegis of the US “pivot,” Abe’s push for a closer partnership with India is driven by Japanese imperialism’s own substantial military-strategic and economic ambitions. Abe has long emphasized the purported strategic synergies between Japan and India, including the opportunity for Japan to exploit India’s abundant supplies of cheap labour and transform India into an alternative global production-chain hub to China. During his visit, Abe met with Modi and Indian President Pranab Mukherjee and signed upwards of 16 bilateral agreements on a wide range of issues, including defence, strategic cooperation, energy, railways, tax matters and health care. In strategic terms, the most significant agreement was the signing of a civil nuclear pact, after more than five years of protracted negotiations. The Indo-Japanese nuclear deal clears the way for India to purchase civilian nuclear technology not just from Japanese companies, but from several major US and French firms, like GE, Westinghouse and Areva, in which Japan has significant stakes. As is the case with India’s civil nuclear deal with the US, Indo-Japanese civilian nuclear cooperation will further boost India’s military prowess by allowing New Delhi to concentrate its indigenous civilian nuclear program and fuel supply on its nuclear weapons program. Because of the devastation caused by the US atomic bombs dropped on Hiroshima and Nagasaki during World War II, there has been great popular opposition in Japan to any action by Tokyo that could contribute to nuclear proliferation. Previously Tokyo demanded that New Delhi sign the Comprehensive Test Ban Treaty (CTBT), which outlaws all nuclear explosions. But it has now dropped the issue, saying it is satisfied with India’s “voluntary” moratorium on nuclear tests. 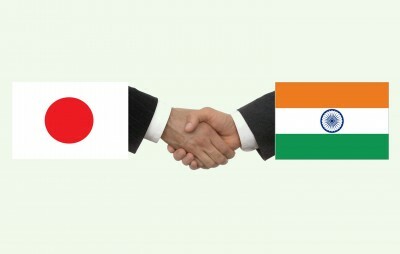 India and Japan also signed two military agreements, one concerning the transfer of defence technology for joint research, development and/or production and the other the protection of classified military information. It had been expected that during Abe’s visit, the two countries would ink an agreement for India to buy 15 or more US-2 amphibious aircraft from Japan at a cost of more than $1.5 billion. However, according to Indian Foreign Secretary S. Jaishankar, a final decision on that purchase has yet to be made. A complicating factor is India’s demand that Japan enter into a coproduction deal with one or more Indian defence manufacturers. Abe and Modi did announce that Japan would now be a permanent participant in the Malabar Indo-US naval exercise, making it an annual trilateral event. The US has been strongly encouraging India to enter into trilateral and quadrilateral military-security cooperation, along with Japan and Australia—a development that Beijing views as particularly threatening. In September India agreed that regular trilateral meetings with US and Japanese diplomats, started at the joint secretary level in December 2011, should be upgraded to foreign ministers. The Obama administration has also repeatedly promised to help India realize its “Act East” policy. Both Washington and Tokyo are eager to undermine China’s influence in Southeast Asia, as the region remains a crucial supplier of natural resources and cheap labour for Japanese industry and is pivotal to the Pentagon’s plans to impose an economic blockade on China in the event of open conflict. The Indian elite has also turned to Japan in the hopes of securing desperately needed investments, especially in infrastructure projects. During Abe’s visit, it was announced that Japan has agreed to lend New Delhi US $12 billion at concessionary rates to build the country’s first bullet train. It will connect Mumbai, India’s financial capital, with Ahmedabad, a manufacturing center in Modi’s home state, Gujarat. India’s national security establishment is eager to pursue closer ties with Tokyo. Writing in the Indian Express on December 15, strategic analyst Raja Mohan noted that New Delhi had not known how to respond to Beijing’s repeated offers to include it in its Asian infrastructure initiative, which has as one of its principal goals countering US military-strategic pressure. However, continued Mohan, “The unfolding development partnership with Abe…allows Modi to respond more effectively to China… That Abe has his own reasons to compete with China on infrastructure exports has brought the interests of Delhi and Tokyo in alignment on promoting regional connectivity.” Mohan emphasized that Tokyo is offering to help India develop transport links within South Asia, helping New Delhi to realize its goal of dominating the region, as well as with Southeast Asia. China has responded cautiously to India’s ever-deeper military-security integration with its more powerful rivals, clearly fearing that an aggressive response would only serve to push New Delhi still closer to them. This was similarly true of Beijing’s response to Abe’s visit to India.